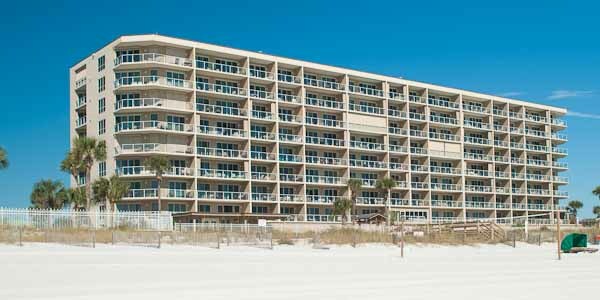 Located in the heart of Destin, Sterling Sands is an eight-story all-beachfront condominium resort built in 1994 and offering two and three bedroom luxury units. 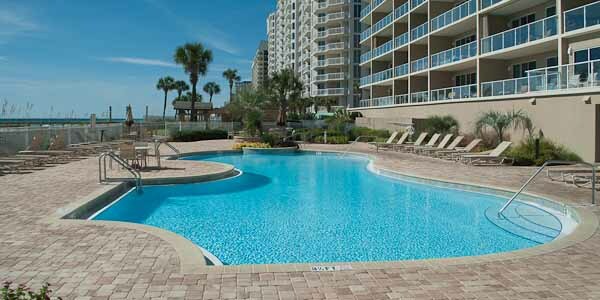 Perfect for vacation rental income, this resort offers an extra large and very beautiful Gulf front pool, hot tub, exercise facilities, private beachfront balconies, and even golf privileges. The pool is heated in the cooler months, too. Kids will love the arcade and bumper cars across the street, and many restaurants and nightclubs are just a walk or short drive up the road. The condos are open and bright, with the entire back wall of the living room floor-to-ceiling glass. Sliding doors open out onto the balcony with the Gulf views beckoning from the living area and kitchen. Prices range from around $400,000 to purchase a two-bedroom unit, to just under $700,000 for three-bedroom, three bathrooms. This is a perfect vacation home if you want something less crowded yet offering the same amenities as the huge high-rise resorts. Let us show you one of these super-nice luxury condos.